This was a super quick and easy card to make. 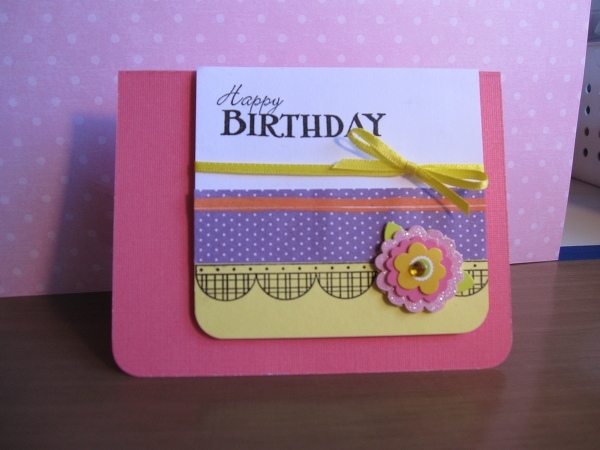 Just a few strips of paper, some simple stamping and a cardstock flower (added some stickles). Then to finish it off tied a ribbon and viola! Thanks Kristina!